We are among those who have experienced the incredible success of leucite glass-ceramic in IPS Empress® restoration and IPS Empress® porcelain crowns. Clearly, IPS Empress® porcelain crowns and IPS Empress® restorations have had many years of clinical success with high patient satisfaction. These natural looking IPS Empress® restorations are aesthetically pleasing and provide an excellent fit similar to that of a natural tooth. Call us for additional information about IPS Empress® restorations and IPS Empress® porcelain crowns to achieve the esthetic goals of your patients: 720-739-3022. In fabricating IPS Empress® porcelain crowns, we consider the entire restoration. Not only do we develop an all-ceramic IPS Empress® porcelain crowns system with natural looking restorations, but also outstanding strength values of IPS Empress® restorations. We are also committed to producing high-quality IPS Empress® porcelain crowns that are affordable for our dentists and their patients. 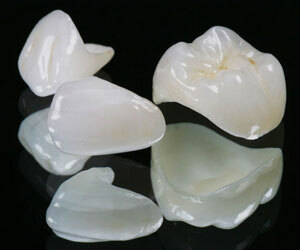 We focus on precision fabrication IPS Empress® porcelain crowns that provide an excellent fit. Your patients expect the finest cosmetic results and longevity. 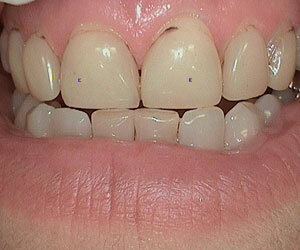 To meet those requirements, we recommend IPS Empress® restorations that look and feel natural. And, our IPS Empress® porcelain crowns will not exhibit the common darkening gingival line of conventional crown materials that produce oxides. We would appreciate hearing from forward-thinking dental professionals who are interested in providing their patients with cosmetically beautiful IPS Empress® porcelain crowns and IPS Empress® restorations that fit, and have outstanding strength values. Why Choose Metal-Free IPS Empress® Crowns, Inlays and Onlays? Those dark lines around old-technology crowns are a clear sign that there is metal under the porcelain. IPS Empress® dental crowns were designed to improve esthetics over the metal-based, porcelain-covered crowns. The color of IPS Empress® porcelain crowns, inlays and onlays will not change. With professional fabrication of IPS Empress® restorations, you can expect a natural look, a comfortable fit, and improved strength with a beautiful dramatic effect. And IPS Empress® porcelain crowns, inlays and onlays have a strong record of clinical success. We provide IPS Empress® porcelain crowns especially for teeth that are highly noticeable. Our IPS Empress® inlays and onlays are used primarily to replace large dental fillings, and amalgam fillings for esthetic purposes. These IPS Empress® restorations are fabricated in our dental laboratory. 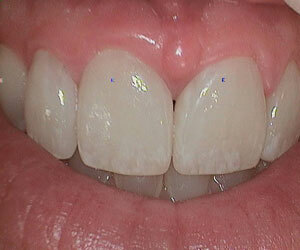 If you would like to learn more about the beauty and durability of the IPS Empress® restorations, call 720-739-3022.